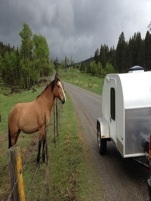 Teardrops n Tiny Travel Trailers • View topic - Filon expertise? Facing the clear sun problems, with no smog at 6,500 in northern New Mexico that absolutely wipes out paints and stains. I also have seen some campers who have endured one of our hailstorm that every five years or so is capapble of breaking windows in homes and make aluminum covered trailers look horrible. 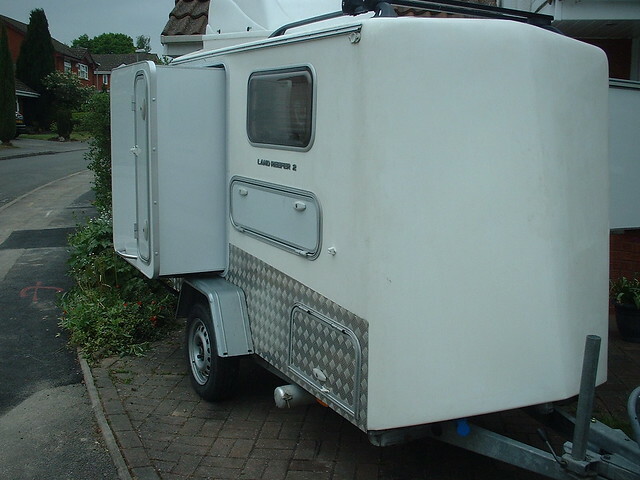 So, I have decided on using filon as a cover for my custom trailer: 5' high, 66" wide and 108" long. I realize this product is fiberglass based, and am wondering if the material in large sheet could be heat moldable over several different angular facets. I really would like to cover the front and the top in just one continuous sheet, if possible. That would require four different angles. If this sheet could be kept in one solid piece the potential for leakage would be less, than four different pieces seamed together. I really want to do this right the first time and am in no rush to do this correctly by myself. I hope there is somebody out there who has used this material in such fashion and also knows the best supplier for sheets of these dimensions. If I can cover the top in one piece I also would like the sides to be the same way. I simply heated the material and hand formed it. You can feel it relax and then form it. You have to wait and feel this or it will crack but I had no problem tightly curving a 4' section around the tight return. I have done two trailers with this material and truly love it. It is forgiving and carefree as well as being scratch and impact resistant.